Salt Lake City, located along Utah's majestic Wasatch Mountains, has historically been a cradle of peculiar people. Before Western culture developed terms for lesbian, gay, bisexual, or transgender (LGBT) identities, diverse communities who recognized their differences from mainstream America made Salt Lake their home. By the early 1970s, a discernible "gay community" had emerged in Salt Lake City, laying the groundwork for future activism and institutions. In the 1970s, publications like Gayzette, the Salt Lick, and the Open Door documented the nascent movement. In the 1980s, amidst devastation from the HIV/AIDS epidemic, marginalized communities valiantly worked to fight the disease and support each other. By the 1990s, LGBT Utahns had gained traction legally and politically with the formation of the first gay straight alliance at East High School and the election of the first openly gay person to the Utah legislature in 1998. 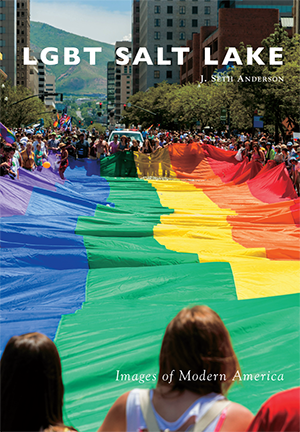 The transgender community became more visible in the new century, and by 2008, Utah began to play a prominent role in the battle over marriage equality. J. Seth Anderson holds a master's degree in history from the University of Utah. His research examines the intersections of religion and sexuality, specifically within gay and lesbian history in the American West.